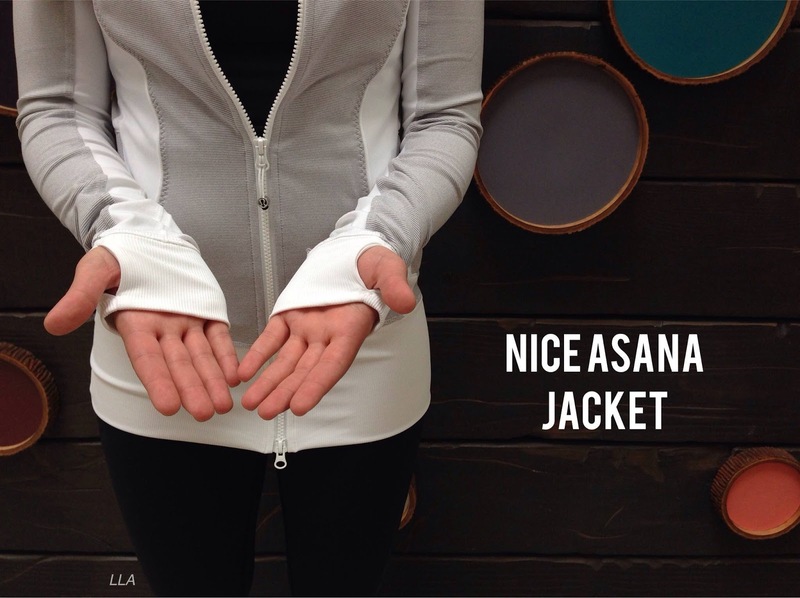 Also shown is a Bali Breeze Nice Asana jacket. 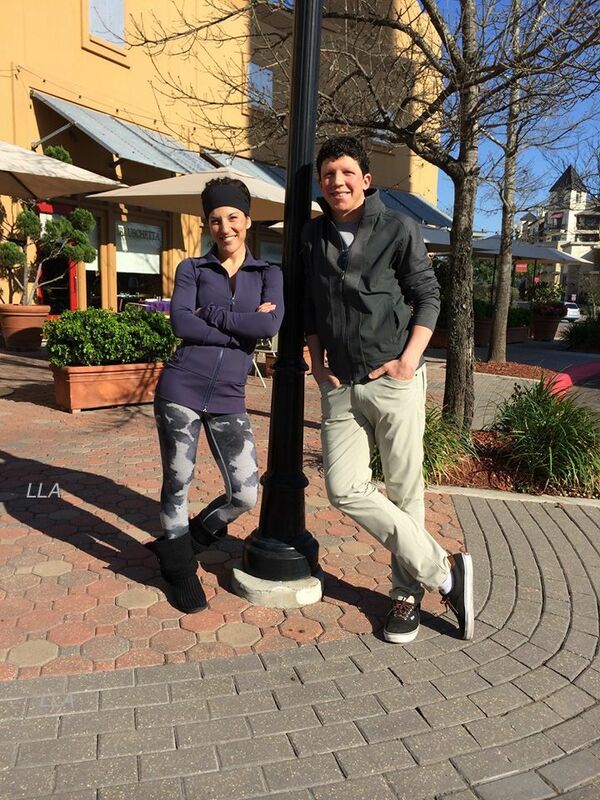 Shown with a Cadet Blue Nice Asana Jacket. 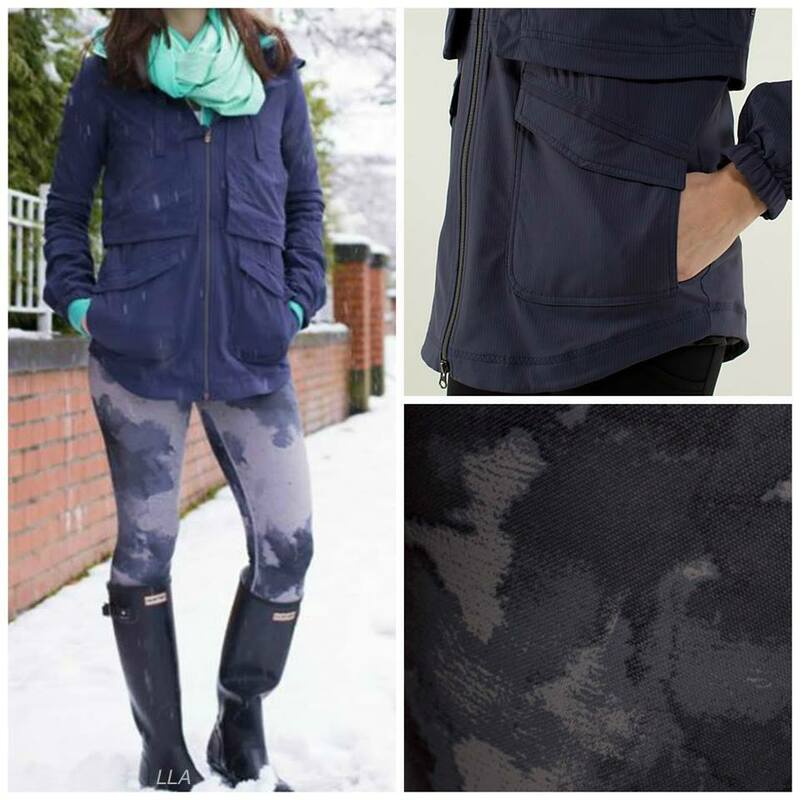 I tired on the new denim luon Silver Spoon Floral Platoon Wunder Under Pants today and really, really liked them. Like the new denim Milky Way Wunder Under crops they are opaque and nicely breathable (and fit TTS). I was very tempted to get them but I'd much prefer this print in crops so I can wear them all year long. I also tried on the new Wunder Under Pant Print in full on luon and liked the feel of the fabric a lot - it was very brushed cotton-feeling and not too compressive, unlike earlier versions of full on luon. 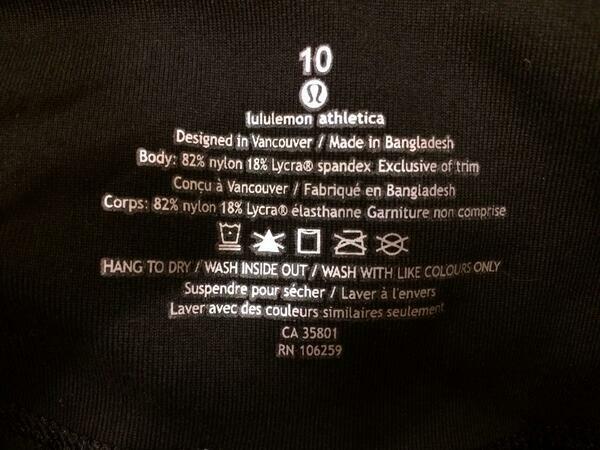 One unusual thing about these pants is that they didn't have a rip out tag but had a stamped tag, like lululemon used to have years ago. I wonder if LLL is going away from the rip out tags. There was no size dot in the pocket, either. I thought the fit was TTS. My store had the new Camo Speed Tights in size 8 and under so I wasn't able to try them on but they looked cute. My store also didn't have any black camo Wunder Under crops and I'm not sure if they have even hit US stores yet. I tried on the new Creamsicle Pop Swiftly LS - it's really Heathered Creamsicle Pop this time around - and found it very soft and nicely opaque. I was tempted to get it but I'll wait for the short sleeve version so I can get more use out of it. New Wee Stripe Medium Gray/White Nice Asana jacket. The Soot/Very Light Flare Pace Queen Tight. 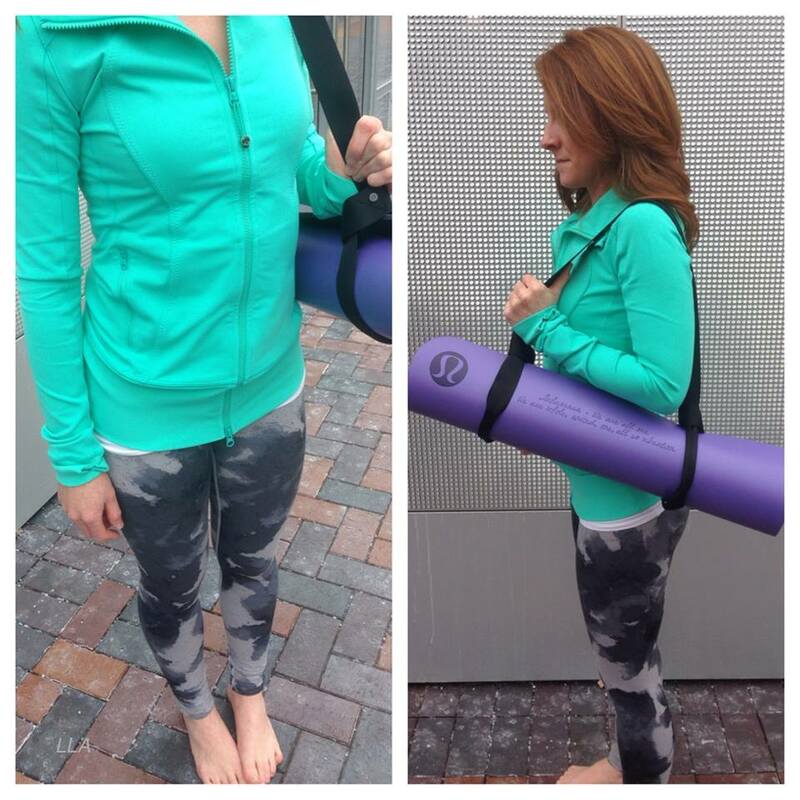 I really like when lululemon does the contrasting piping on the waistbands. They should do more of these. 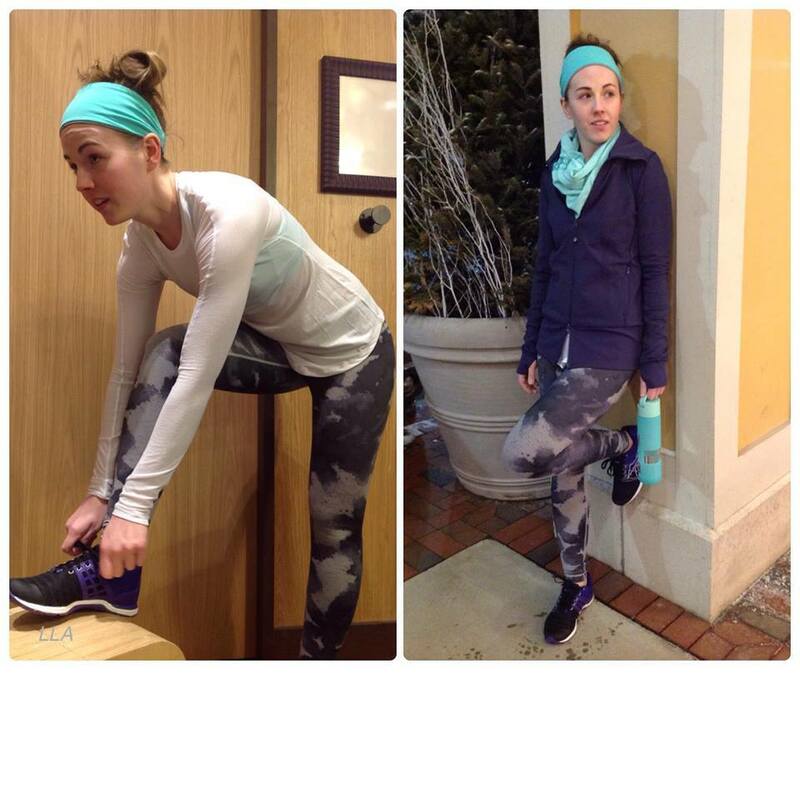 New Skinny Groove Pants are out. I'm not sure why Digni Tees are back again. The color they are out in are older - Aquamarine and Bleached Coral. 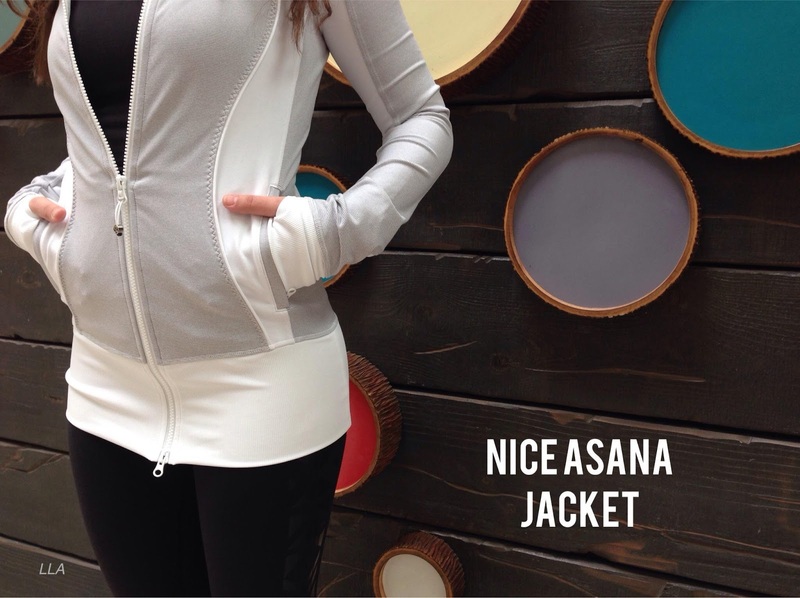 Really love the nice asana jacket in medium grey / white- definately want one! 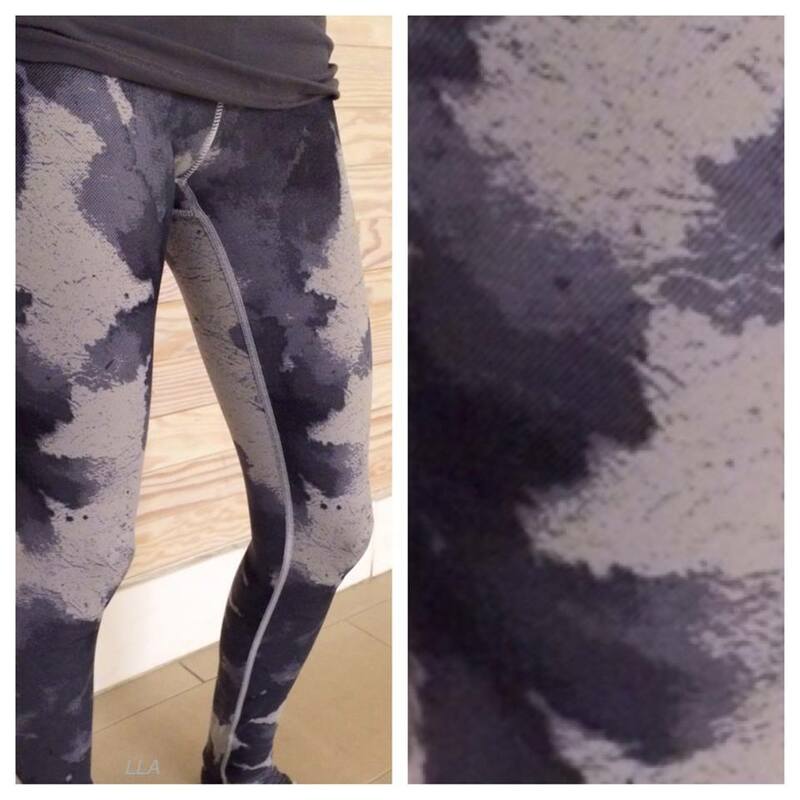 i like the ice queen tight piping too, btw, do these run same as wu for size? 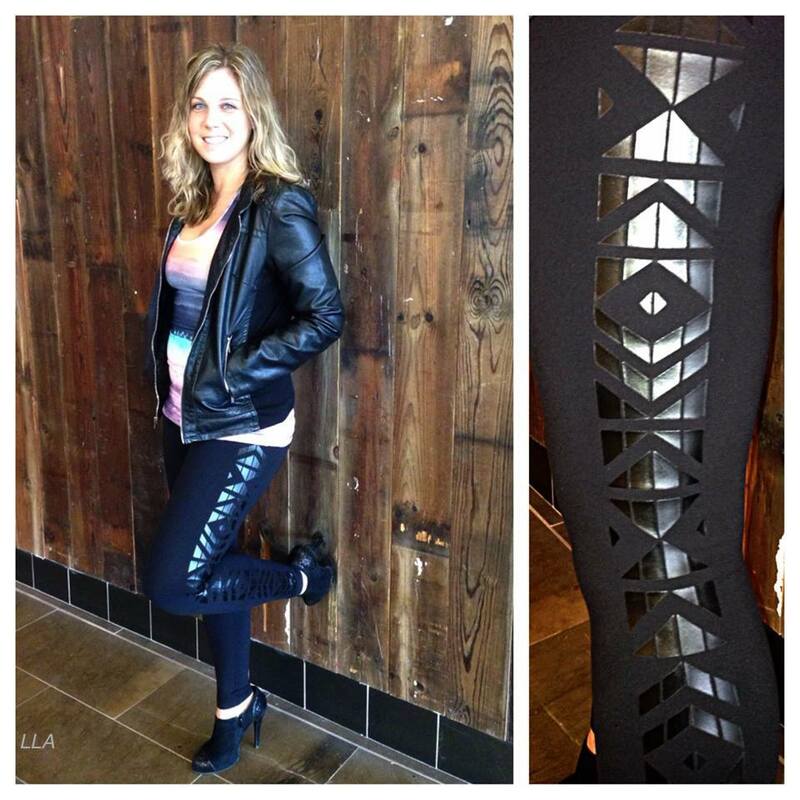 or do you size up for the luxstreme tights? I know its usually diff for diff styles however, let me know if anyone knows? 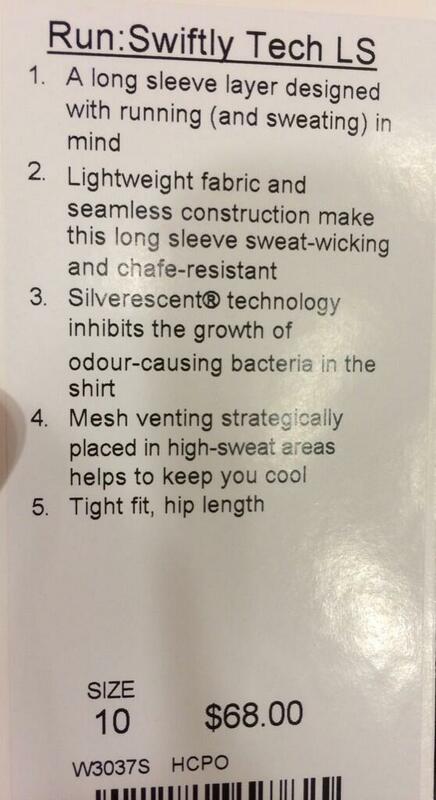 my hip size is btwn a 4 and 6 so i never know its irritating btw. i think my hip size is standard or common too 36"
I have the same ice queen pants and they are the really good luxtreme. the color combo is really nice. The waist band inside is also the flare light color. I got a 6 I am 5'3 and 120 lbs narrow hips . They fit nicely.